Asparagus is known for it’s rich, succulent flavor and has been seen as a delicacy since ancient times. This vegetable is packed with vitamins and antioxidants. Asparagus is best consumed during the spring months (April-May), when its stalk is nice and strong. Make sure you hurry and eat your asparagus- it has a short season and deteriorates quickly after picking! Asparagus officinalis is an edible member of the lily family, which also includes onions and garlic. Out of 300 varieties of asparagus, only 20 are edible. This plant is grown perennially and takes roughly 3-4 growing seasons before they contain the acceptable, delectable flavoring. 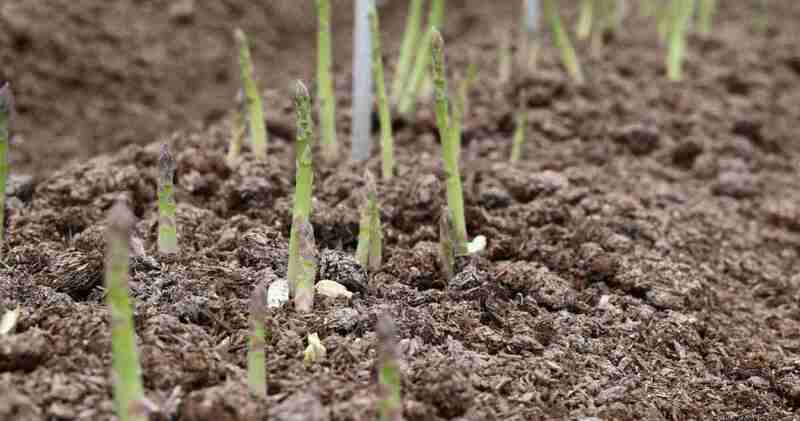 Asparagus shoots break through the soil in early spring and grow to be 6-8 inches in length before they are picked. The green, fleshy stalks are topped with a bud-like spear. There are also white and purple varieties of asparagus. The white variety is cultivated by keeping the shoots under the soil to avoid the sunlight, which will make a less tender, more flavorful product. The purple variety is known to have a fruitier flavor due to the larger amount of anthocyanin phytonutrients. Asparagus is a good source of folate, vitamin A, vitamin C, vitamin K, antioxidants, and fiber. The antioxidant properties of this vegetable serve the purpose of lowering cholesterol levels, protecting liver cells against toxins (i.e. alcohol), and acting as a natural diuretic. 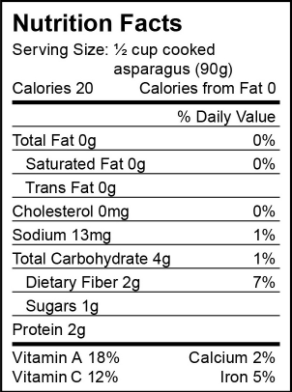 The high amounts of the amino acid asparagine produce the natural diuretic effect in asparagus. The increased urination will help rid the body of excess salts, thus lowering blood pressure. The stalk contains high amounts of saponins specifically, asparanin A, sarsasapogenin, protodioscin, and diosgenin. These compounds have been found to have anti-inflammatory and anti-cancer properties. Saponins have cytotoxic activities against a variety of cancer cell lines. Disogenin is marketed as “natural progesterone” and it has been shown to inhibit tumor growth in both estrogen positive and estrogen negative breast cancer tumors in mice. To consume the best texture and flavor, it is recommended that asparagus be eaten within 48 hours after purchasing. This vegetable has a high respiration rate (the speed at which food breaks down when exposed to oxygen) which the causes the asparagus to be more perishable and more likely to lose water. Asparagus has three times greater the rate of respiration than a tomato and two times greater the rate of respiration as an avocado. To slow down the metabolic activity of asparagus, it is best to wrap the ends in a damp paper towel and place it in the refrigerator. It is recommended that thick asparagus stems be peeled with a vegetable peeler to remove the tough outer layer. After washing the asparagus, 1-2 inches of the asparagus ends should be cut off because they are not very tasty when cooked. Asparagus may be cooked in various ways, such as steaming, sautéing, or roasting in the oven. If you desire to cut the asparagus in smaller pieces, it is best to cut after they are cooked. This vegetable is very versatile because it can be served cold in a salad, tossed in your favorite pasta dish, chopped and put into omelets, or sautéed as a side dish to a simple chicken dinner. This is a delectable side dish to accompany a warm spring night dinner. Such a versatile dish that can be paired with fish, chicken, pasta, or anything savory! Heat olive oil in large skillet over medium-high heat. Add tomatoes and garlic (and optionally artichoke); cook 5 minutes. Stir in vinegar; cook 3 minutes. Stir in salt. 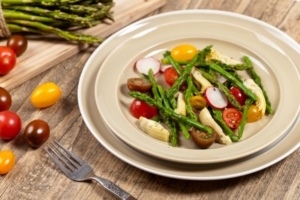 Arrange asparagus on a platter; top with tomato mixture. Sprinkle with cheese and pepper. Serves 4. P.S. Ever wonder why asparagus causes urine to become strong and odorous? After eating asparagus, the human body metabolizes the asparagusic acid into a sulfur-containing product, which is excreted in the urine and causes the stinky smell. Interesting enough, 60% of people have olfactory receptor genes that are associated with asparagus anosmia, or the inability to smell the distinct odor produced in the urine after eating asparagus. Lucky you! About: At an early age I learned that I had a passion to learn about life sciences and the relationship between plants and humans. 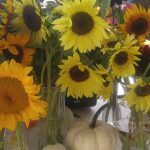 In college, I helped prepare and serve local-grown produce for market gardeners and market farmers. 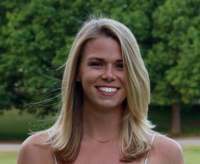 I graduated from Clemson in May 2016 with a B.S. degree in Food Science: Nutrition and Dietetics. Although I love learning about nutrition, I realized that it is more of an interest of mine, rather than a career path. Starting in August, I will be attending Clemson’s Accelerated Nursing Program. I would love to use my previous nutrition background to promote my patients to maintain a healthy living lifestyle. 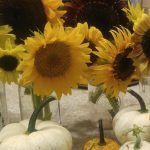 Through this blog, I hope to spark an interest in the farming community to learn more about the nutritional value of their products and to promote the benefits of buying fresh, delicious, and locally grown foods.